Elegance plus miracle hair shampoo with extra keratin is a refreshing cleanser which stimulates the scalp and leaves the hair feeling clean, fresh and healthy. 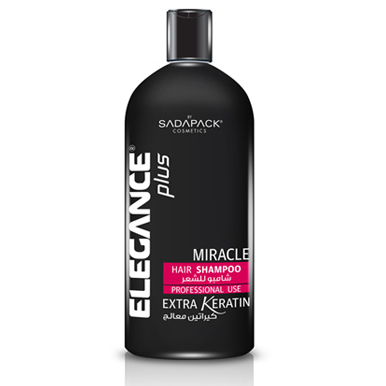 Suitable for all types of hair. 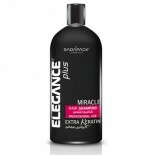 Directions: apply a small amount of elegance plus miracle hair shampoo into the palms of your hands and work through your hair evenly from scalp to ends. Rinse and repeat if desired.